To be successful in today’s rapidly changing business and technology environment, you need an experienced and agile partner you can trust. Abacus Technology has big business experience, without big business inefficiencies. We can tackle any challenge, effectively and with flexibility. As an independently-owned and operated business, we make decisions to exceed customer – not shareholder – expectations. Our customers choose us for the first-time because they see our performance history and value. They choose us again because they have seen our results and know they can count on us. That’s why we – and our customers – think of us as just right. We have the spirit of a small business but the resources, stability, and experience of something larger, by choice. It was 1983. Microsoft Word and Lotus 1-2-3 were released. The World Wide Web did not exist. Sally Ride became the first American woman in space. American Motors’ Renault Alliance was the Car of the Year. 1983 was also the same year, Dennis Yee, our President, decided to start Abacus Technology. He was the company’s lone employee at the time, but since then, he has evolved our company from a one-contract transportation logistics consultancy to a communications and information technology firm with hundreds of employees supporting clients throughout the United States and abroad. Abacus Technology has a 30-year history of solid, sustained business performance. Our track record of strong, organic growth and profitability —regardless of the state of the economy—is unrivaled. Our success is based on a proven history of outstanding project performance on contracts of all sizes, scope, and challenges. From the start, our reputation mattered, which is why we continue to produce and deliver quality solutions and services that are on-time and within budget. We value excellence, hiring individuals with a rich background of industry and functional experience. We are diverse, but we share a common passion for client service. Our broad technical talents and unique perspectives enable us to help our clients solve their most complex challenges and deliver results that prevail. WE COMMIT TO QUALITY SERVICE DELIVERY. Abacus Technology has maintained a long-time and active membership in this non-profit association which serves the military, government, industry, and academia. It provides a forum for the advancement of professional knowledge and collaboration in the fields of communications, information technology, intelligence, and security. We regularly trade best practices and success stories to benefit the national defense mission. Abacus is a Bronze member of the Cyber Huntsville organization, a non-profit organization made up of industry, government and academic institutions that are dedicated to making Huntsville and the Tennessee Valley region a nationally and internationally recognized cyber leader. The focus of Cyber Huntsville is to build upon its region’s talent and experience in the areas of Systems Engineering, Research and Development, Modeling and Simulation, Cyber Security, Experimentation, and Test and Evaluation. Abacus Technology is a member of the Government Technology & Services Coalition (GTSC). 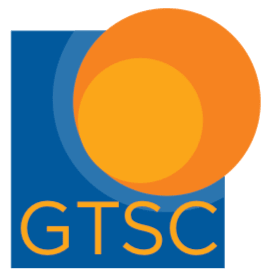 GTSC is a nonprofit, non-partisan association of innovative, agile small and midsized company CEOs that create, develop, and implement solutions for the Federal homeland and national security sector. These companies founded the Coalition to band together to work with their Federal partners to achieve their mission despite significant budget challenges by bringing the innovation, creativity and exceptionalism of successful small businesses to the homeland and national security mission. Abacus Technology is a Charter Partner of the Massachusetts High Technology Council and the New England Tech Vets. The New England Tech Vets represents a partnership between the Massachusetts High Technology Council, Monster, the Red Sox Foundation, and Massachusetts General Hospital Home Base Program to match transitioning veterans with employers in the IT industry across New England. Abacus Technology is not only a member, but also serves on the Board of Directors. SOSSEC offers a uniquely rapid, cost-efficient, and collaborative contracting vehicle for companies and educational organizations seeking to enter the Federal market. Broadly stated, the consortium’s mission is to implement innovative infrastructure solutions for detecting, intervening, and defending against threats to homeland security. Research and resources are highly focused on the areas of protection technologies, command center architecture and engineering, and integrated communications for shared situational awareness. Project National Shield Integration Center (PNSIC) – Sponsored by the US Army’s Armament Research, Development and Engineering Center (ARDEC), we assisted the State of West Virginia in developing a situational Common Operating Picture (COP) and improving its ability to respond to emergency events. Abacus performed COP product research and analysis as well as supported overall system planning and engineering. Delaware Valley Intelligence Center (DVIC) – Under the direction of the Southeast Pennsylvania Regional Task Force, we integrated stakeholder requirements and helped build an all-crimes/all-hazards Data Fusion Center facility. Abacus led the Security Team Working Group charged with the design and implementation of both physical and data security measures to protect against intelligence gathering intrusions/vulnerabilities.